Kick Off the 2018 Football Season at the 30th (can you believe it???) Annual Lake Picnic and Student Send-off!! 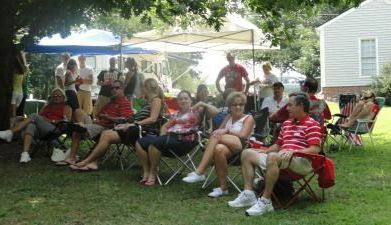 Join us on Saturday, August 11th for the 30th Annual OSU/OU Picnic at Lake Norman and meet our 2018 Scholarship Recipients!! Sherry Browning (OSU) and Bill Rakatansky (OU) have again graciously offered the use of their home for the day. As in the past we will be partying with the Ohio University Bobcats! COST: $5/person, Plus one side dish per family (See suggested side dishes below). Current Ohio State students and kids under 12 are FREE (if you're a student please bring your Buck ID). Charlotte Buckeyes Scholarship Recipients are FREE. As always, we will draw the raffle for President's Club tickets to each home football game at the picnic. Stay tuned for details on how to win. Lawn chairs or blankets, boats and water toys. If you're not buying your ticket online but are planning to attend, please send an e-mail to Vicki Reich (vicki@charlotebuckeyes.com) and let us know you hope to join us for a great day at the lake!